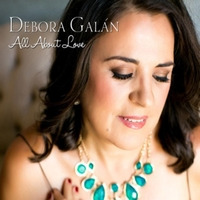 28699 Old Town Front St.
Spanish-born vocalist Debora Galan performs from 11 am to 3 pm at one of the best brunch experiences in the San Diego, creating musical magic with her rich, expressive voice and her captivating presence, whether singing Latin, jazz, or R&B favorites. Galan will be accompanied by her long-time sideman Jose Camberos, a star in his own right. A resident of San Diego, Galan appears regularly at the Fairmont Grand Del Mar in San Diego widely elsewhere in the San Diego area and beyond.